The Christmas activities and homemade gift making are in full force here. :) The other day I made 4 batches of play-doh!!! I can't wait to show you all the fun we are having with this dough!!!! :) :) :) Yes, our dough has lots of sparkles in it! 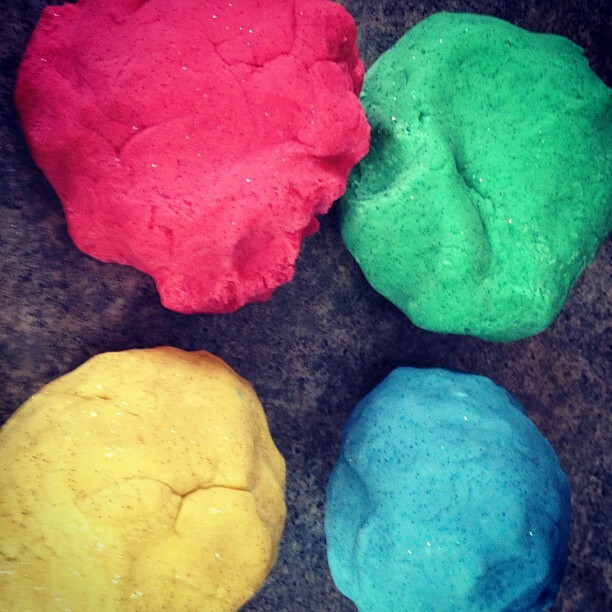 We added a lot of glitter to make this play-doh more exciting and festive for Christmas. I'm a little peeved that Ultimate Demon will so efficient.